After a few months of work, finally comes the day to announce that this year I will be presenting an installation called NEXT NATURE at the LLUMBcn 2018 festival. It is also a pleasure to have the opportunity to share a poster with other greats artists such as Kyle McDonald, Rafael Lozano-Hemmer and other very interesting people and friends. 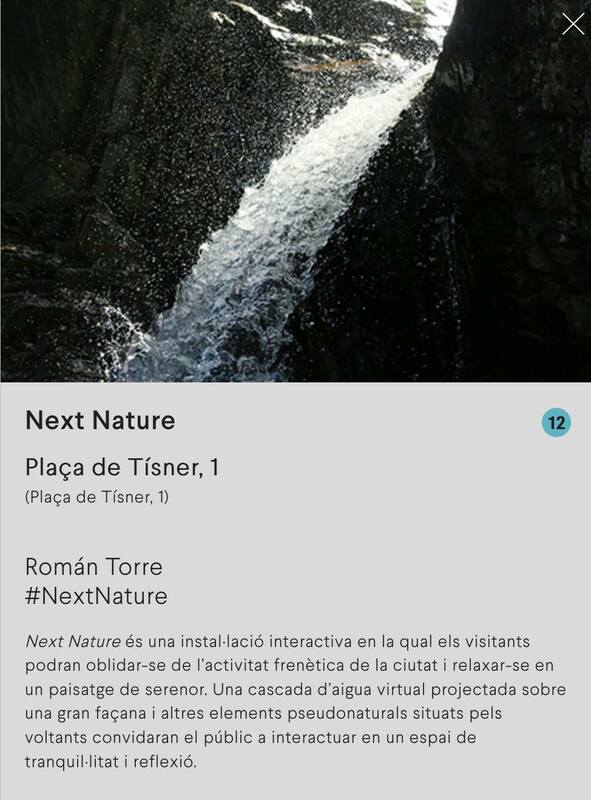 Después de unos meses de trabajo, por fin llega el día de anunciar que este año estaré presentando una instalación llamada NEXT NATURE en el festival LLumBcn 2018. Es un placer además, tener la oportunidad de compartir cartel con otros grandes como Kyle McDonald, Rafael Lozano Helmmer y otra gente muy interesante y amigos.